Knit one, perl two, arrrrrr! I just wanted to let our fans know that Christine, the proprietress of Big Pink Cookie is producing a podcast about knitting called Pointy Sticks. It occured to her that the song I wrote for the Flying Fish Sailors, Poke You In The Eye, would make the perfect theme song for the program. Being the ethical person she is, she sought permission from the author before proceeding and I, being the generous person I am, gave her said permission. If you’re in to knitting at all you should check it out. So yea, it’s not the generational anthem I may have envisioned in my optimistic and glory seeking youth, but it’s still cool knowing that small children and domestic adults alike might take delight in singing about poking someone in the eye. If you would like to hear the song you can download it here. 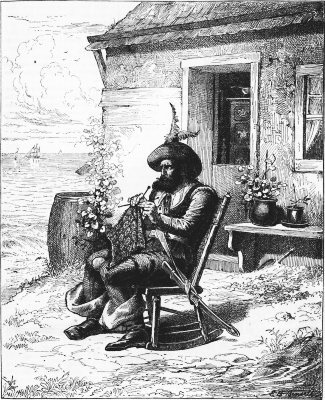 Keep on knitting in the free world!